This bait was born off a miscue between Bass Pro Chris Lane and the team at River2Sea. 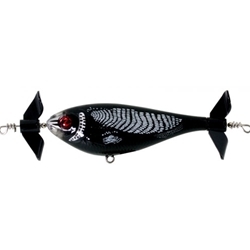 The unique size and shape of the bait provide a big profile for those giant bass to hone in on. The big soft plastic props move a lot of water and put off sound that the bass can't help but seek and destroy.